There have been malicious, unsubstantiated and wicked insinuations and reports on social media and on various online medium that President Muhammadu Buhari has “released” convicted Boko Haram kingpin, Kabiru Dikko, alias Kabiru Sokoto. The insinuation became rife due to the reticence of the presidency over the matter. It was further fuelled by a press statement issued by a group called Human Rights Writers Association of Nigeria (HURIWA). The group in a statement asked President Buhari to clarify whether he has released the convicted terrorist as speculated. 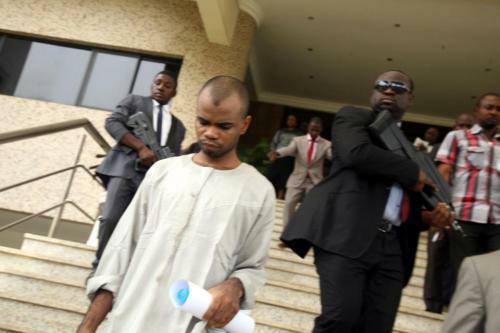 Kabiru Sokoto was convicted on a two-count terrorism charge by a Federal High Court in Abuja on December 20, 2014 and sentenced to life imprisonment. The court found him guilty of facilitating the commission of terrorism acts and concealing information from security agencies on the December 25, 2011 bombing of St. Theresa Catholic Church, Madalla, Niger State. I do not know why some mischievous people will sit in the comfort of their houses to create enmity in the polity by creating and publicising such offensive hoax. President Muhammadu Buhari cannot just wake-up and begin to order the release of prisoners. Granted that the President is constitutionally empowered by Section 175 of the Constitution of the Federal Republic of Nigeria 1999 (as amended) to exercise prerogative of mercy in favour of any person concerned with or convicted of an offence created by an Act of the National Assembly, there are conditions precedent to the exercise of this power. Prerogative of mercy can only be exercised in favour of any person upon the recommendation of the a body known as the Presidential Advisory Committee on Prerogative of Mercy. After the recommendation, the President must consult with the Council of State in line with Section 175 (2) of the Constitution before he can exercise his prerogative of mercy in favour of any person. There is no evidence or report indicating that such recommendation has been made to President Buhari by the Presidential Advisory Committee on Prerogative of Mercy for Kabiru Sokoto to be granted pardon. Also, at the last Council of State meeting held on Thursday, September 8, 2016 there is no report that President Buhari consulted with the Council on the issue of prerogative of mercy in favour of any person. From the standpoint of public policy, it is unthinkable for a convicted terrorist who facilitated the murder of innocent Nigerians to be granted state pardon. What will be the motivation for such offensive pardon? If members of the violent sect were to be swapped for the Chibok girls, I do not believe Kabiru Sokoto will be considered. That will amount to legitimizing the insane and beastly ideology of Boko Haram. How many members of the terrorist sect have been convicted since the insurgency began? Why should any reasonable person contemplate releasing Kabiru Sokoto whose conviction has bolstered the anti-terrorism war? It is not necessary for the President to respond to the request of HURIWA. If the group has evidence to buttress their insinuation, they should present same to the public. Alternatively, they can make a freedom of information request to the Controller General of the Nigerian Prisons Service for information on the status of Kabiru Sokoto. Thankfully, while I was writing this article, the spokesperson of the Nigerian Prisons Service, Biyi Jeje, put the rumours to rest by stating that Sokoto is still in their custody as reported by Premium Times. Releasing such a deadly and high ranking terrorist whose atrocious acts were confirmed by a court of competent jurisdiction will amount to dancing on the graves of innocent Nigerians who have been murdered by the sect. I do not believe that President Buhari whose administration has fought a near victorious war against the Boko Haram insurgents will be so callous and insensitive to grant pardon to a dangerous person like Kabiru Sokoto who had escaped in 2012 before he was recaptured. As stated earlier, the President cannot arbitrarily release Mr. Sokoto or any other person from prison without consulting with the Council of State after the recommendation of the Presidential Advisory Committee on Prerogative of Mercy. It will be criminal for any person, no matter how highly placed, to release, aid or abet the release of any prisoner without following the due process of the law. President Buhari should not be associated with such profanity. We can constructively criticise the President on issues and policies that affect our collective wellbeing as a people. However, the deprecatory attempt to scandalise President Buhari to score a cheap political goal is condemnable and unacceptable. This is dirty politics and sheer hatred for President Buhari taken too far.